The Knowlton Nest: Homemaker's Friend Daily Planner SALE! Homemaker's Friend Daily Planner SALE! We are a few months into the new year, but you may be missing something. 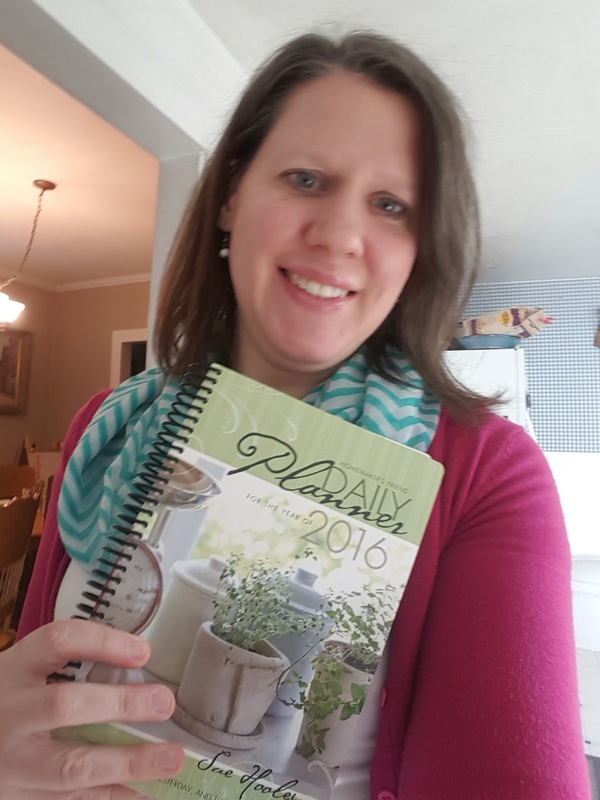 Could it be the Homemaker's Friend Daily Planner? I thought so! *It's a convenient size- I can fit it in my purse, but it's big enough that I can write in it (no shorthand). *The weekly task list is vital to my organization. *I can record my menu plan. *I can plan birthday parties, trips, summer ideas and book lists. *I can record gifts to buy, cleaning ideas, and use the tear out shopping lists. *I can make a master shopping list in the back. *I can keep loose notes in the back pockets. *I can see a month at a glance. *I can record good quotes from podcasts. I have REALLY enjoyed this planner. I am so glad to have used it this year. I have felt more organized, I can see what I've done and the different areas are great for taking lots of notes and lists. As I'm into my 2nd year with this planner I have seen so many great ways to utilize it to fit my specific needs. I'm curious to see how you might use it too! Let me know if you have any questions. I'm happy to answer. If you are curious about using this planner and think it might be something to try, Homemaker's Depot is having a SALE and I have a coupon code just for you for an EXTRA $2 off. This code expires March 12.